It's coming. GoPro's first foray into drones is set for a release early next year, CEO Nick Woodman has just revealed at the Code conference. This doesn't really come as much of a shock. GoPro's have long been used as the main camera for a variety of drones, notably DJI's Phantom, so building one of its own does seem to make a lot of sense. We first heard rumblings that GoPro could be entering another product category last year, with the WSJ claiming they would range in price from $500 - $1,000. There were very few, well actually no, concrete details revealed about just what this quadcopter might be capable of, though we can safely assume there'll be a clever 4K video cam onboard. 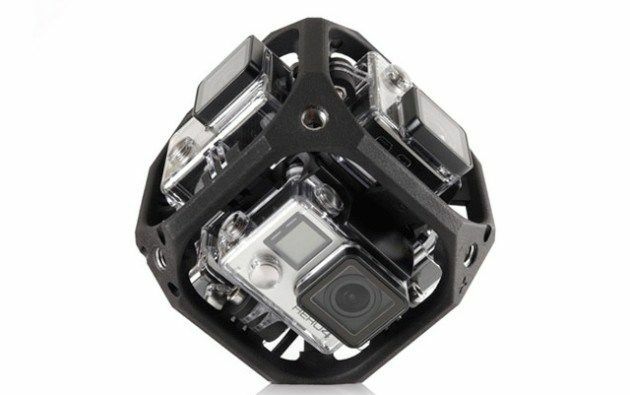 GoPro also used the conference, which is run by US tech site Re/Code, to unveil a "spherical" mount (though it looks more cuboid to us) for its line of action cameras that'll stitch together a bunch of snaps and let you view them back in VR. You'll be able to attach six of the brand's fantastic Hero 4 cameras into the mount and the VR functionality is powered by Kolar, a French company GoPro acquired last month. The content captured can then be viewed on a VR headset, like Oculus Rift or Gear VR, or through YouTube 360. It's set to launch later this year.